Many companies depend on a fleet of commercial vehicles to complete daily business sales or services. Mosaic Insurance reminds Prescott businesses to have regular reviews of your commercial fleet coverage. Delivery services, repair and maintenance services, taxi companies, car rental companies, and construction companies are just a few examples of industries that may maintain a fleet of vehicles. A comprehensive commercial fleet insurance policy can often be more affordable than insuring business vehicles individually. You can purchase fleet insurance to cover liability risks for all of your company’s vehicles. These can include cars, vans, SUVs, buses, and trucks. Fleet insurance provides coverage for everything from construction vehicles to tractor-trailers. 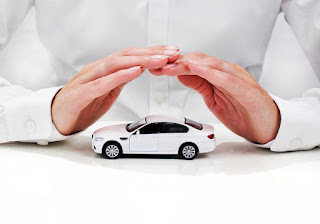 Vehicles insured under one fleet insurance plan do not need to be used for the same purpose. For example, you can insure your delivery vans and commercial cars under the same policy. Often, these policies provide provisions to allow employees of your company to drive any vehicle in your fleet and be covered if they cause an accident. At a minimum, this commercial vehicle insurance will provide enough collision and liability coverage to meet your state’s insurance requirements for commercial vehicles. There are then options available for added coverage. Mosaic Insurance hopes that this reminder to Prescott businesses to review your commercial fleet coverage is helpful to you. Mosaic Insurance wants to help you to protect the vehicles in your Prescott business with commercial fleet coverage. For more information or to get coverage started, contact the experts at Mosaic Insurance today at 928-458-7374.